The longtime Tory stronghold will stay blue. As soon as polls began reporting back on Thursday night in the district of Topsail-Paradise, it was clear the longtime Tory zone was going to stay blue. PC candidate Paul Dinn jumped to an early lead and never relinquished it, as he sailed to victory over the second-place Liberal candidate Patricia Hynes-Coates and the third-place NDP candidate Kathleen Burt. The final tally was 2,204 for Dinn, 1,212 for Hynes-Coates and 187 for Burt. "It's a bit of a David versus Goliath," Dinn said in his victory speech. "You see the big red machine roll into Paradise a few weeks ago with a big bankroll behind them and all the staff they could come up with ... But I tell ya, we pulled together some true volunteers." 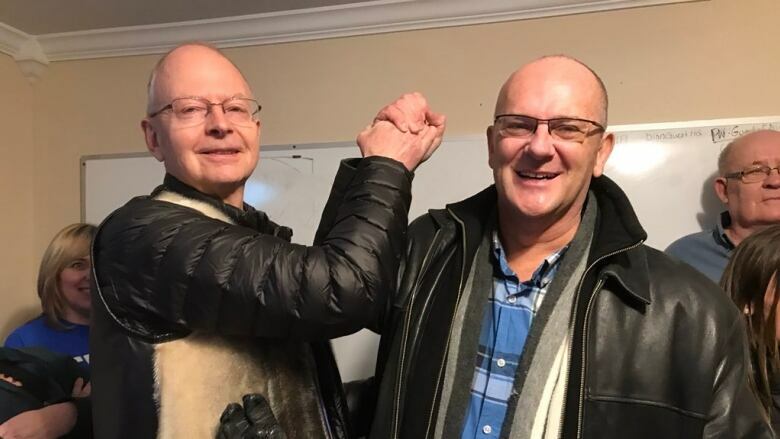 Dinn was joined at the headquarters by party leader Ches Crosbie, as they celebrated the victory in what will likely be the last byelection before the next general election is called. Dinn is a longtime public servant, with 28 years experience working in the provincial government. He is also a town councillor in Paradise. The victory brings the seat count in the House of Assembly to 27 for the Liberals, eight for the PCs, two for the NDP and three members sitting as Independents. “It’s a hat trick,” says <a href="https://twitter.com/ChesCrosbie?ref_src=twsrc%5Etfw">@ChesCrosbie</a>, referring to what appears to be 3 straight byelection wins. Topsail-Paradise was represented by former premier Paul Davis since the area was rejigged in 2015 to include parts of Paradise and Conception Bay South. Davis retired as an MHA in November, triggering the byelection. Hynes-Coates, meanwhile, was unfazed by the defeat, saying she is "100 per cent" committed to running in the district again for the next general election. "I truly believe that in the next election I will take this town," she said. "I am standing here, I stood here, and I will continue to stand by the Liberal government." In the end, unofficial numbers indicate there were 3,603 votes were cast in a district with more than 10,000 registered voters, placing voter turnout around 36 per cent. 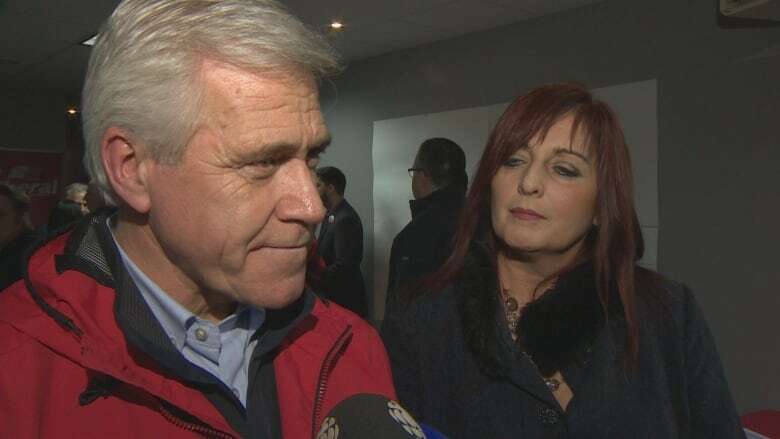 "If there's a disappointment for all three parties today, it's that the voter turnout was so low," said Premier Dwight Ball after Hynes-Coates conceded to Dinn. Earlier in the day, some voters spoke about a lack of enthusiasm in the district throughout the campaign. 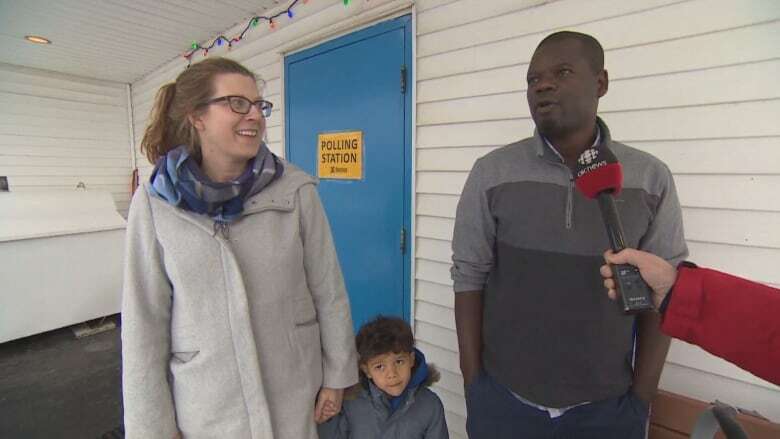 Kenneth Dadzie-Addae and Charlene Tilley brought their two young children to the voting booth on Thursday in Topsail, hoping to instill good habits early. While the two are avid voters, Dadzie-Addae said he did have one issue with this byelection. "I haven't seen much [of the candidates]. I haven't heard much," he said. "I just went with what my gut instincts told me to vote for. It shouldn't be like that." Compared with the Windsor Lake byelection in the fall, the Topsail-Paradise campaign came and went without much fanfare. Where there were televised debates in the last one — contested by PC leader Ches Crosbie, who beat Liberal leader runner-up Paul Antle and the NDP's Kerri Claire Neil — there wasn't much in the way of public forums before Thursday's vote. Last week saw 1,116 votes cast in two advance polls, according to Elections Newfoundland and Labrador, compared to 886 votes cast during one day of advance voting for the 2015 general election. The three candidates on the ballot were vying to fill what's expected to be the last remaining seat at the House of Assembly before this year's general election. Burt, running for the NDP, said she wanted to focus on developing a strong education system to keep kids from seeking livelihoods out-of-province, and building better jobs with higher wages in the short-term. Hynes-Coates, the Liberal candidate, was tight-lipped about the issues she heard on doorsteps, but vowed to bring her experience as a national responsible-drinking advocate to Confederation Building, with an eye to standing up for people living paycheque to paycheque — a reality she says she knows well. Dinn said he had a close relationship to the district, having served on Paradise town council for the past seven years. He said he's been hearing concerns over tax burdens on seniors and local infrastructure projects.